Three reasons why Pop will approach this season the same as he always has, and why the league may not care. Splashy uniform reveals hogged much of NBA Twitter’s short attention span this week, but a much more significant reveal was made regarding the league’s schedule. Adam Silver continued the slow roll-out of his scheduling reform, eliminating bugaboos like four games in five nights, reducing one-game road trips, and encroaching on football’s sacred turf by daring to play more games on weekends during the fall. Like many NBA observers, Spurs coach Gregg Popovich would prefer a shorter season. It never made sense for basketball to start before November, let alone prior to the World Series; but the league is doubling down in that direction. Let’s be clear, though: Any changes made to support player rest that are based on continuing the 82 game season are kind of like treating a chronic smoker by asking him to only light up outside. 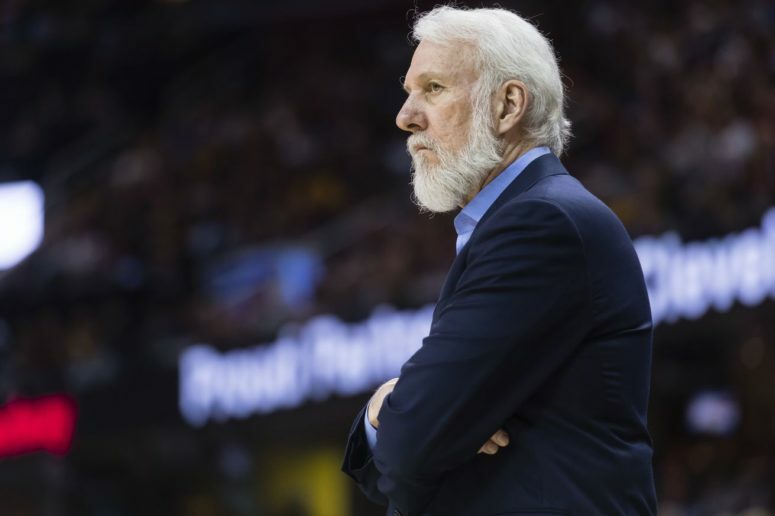 Nevertheless, the changes should make it easier for coaches like Pop to buy their players more meaningful rest while also respecting the league’s need to provide a marquee product. Unlike his predecessor, Silver is way too classy to ring Pop with a “happy now?” phone call. Of course, Silver hasn’t had to deal with a Spurs Benchgate crisis like what Pop laid on David Stern when he rested four players in a high-profile game against Miami five years ago. And anyway, there are a three reasons why I think the schedule changes aren’t going matter all that much to the Spurs, let alone prompt Pop to use his most notorious buzzword. First of all, while Pop and the Spurs are rightly credited for bringing the rest movement into the limelight, it’s LeBron James’ selective resting which has brought it into the mainstream. LeBron has taken the long view towards his own career, and in the process has put the Best-Player-in-the-World Stamp of Approval on what otherwise might have been a boutique philosophy. Other players and teams – including the best team in the league, Golden State – have adopted the philosophy, meaning the Spurs are no longer even the most high-profile resters. Marquee Spurs matchups could decline overall, because the Spurs only have one marquee player left. Back when the Miami incident happened, it was a big deal for Pop to rest Duncan, Parker, and Ginobili because all three were still playing at an All-Star level. In losing out on the Chris Paul sweepstakes, the Spurs enter this season only one surefire All-Star. And the league has changed since then, as well. In 2012, there was one superteam; in 2017, there are three, and at least four more attempting to get to that level. The Spurs’ opponent on opening night, the Timberwolves, is one of the teams trying to break through. Two others, Golden State and Houston, are likely playoff opponents again this season, which means it’s likely the Spurs championship hopes will depend on them defeating four straight teams with multiple All-Stars. So don’t be surprised if Pop surveys the landscape of superteams this season and decides even more rest is in order.